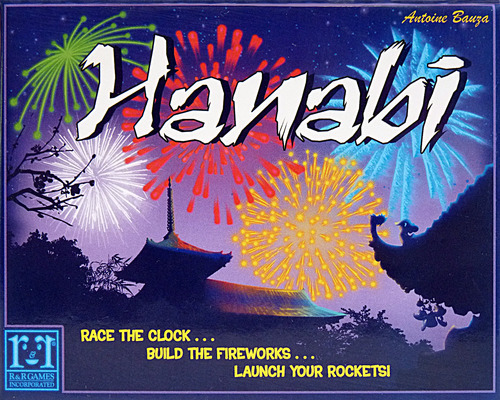 Hanabi—named for the Japanese word for "fireworks"—is a cooperative game in which players try to create the perfect fireworks show by placing the cards on the table in the right order. Hanabi is also available as Hanabi & Ikebana. In Japanese, hanabi is written as 花火; these are the ideograms flower and fire, respectively.